There’s an amazing change of season happening at our farmers market where we’re seeing strawberries and peaches disappear and other favorites like squash and sweet potatoes take over the stalls and our taste buds. It’s one of my favorite times of year where even in LA you start to feel the change of seasons. Last weekend I took Chloe to pick out a few vegetables of her choosing and every time we visited a stand selling green beans she would beg for me to buy a few handfuls. By the time we left I had 3 bags full with different varieties. We walked around munching on the raw beans and coming up with recipes we would make with the remaining beans. 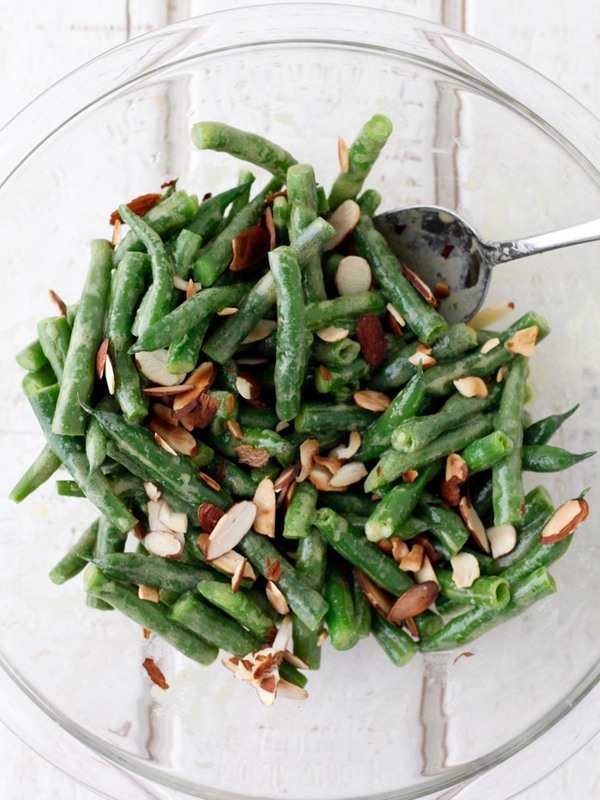 I put some of them in her lunch and the remaining we turned into this Green Bean Salad with Mustard Vinaigrette. 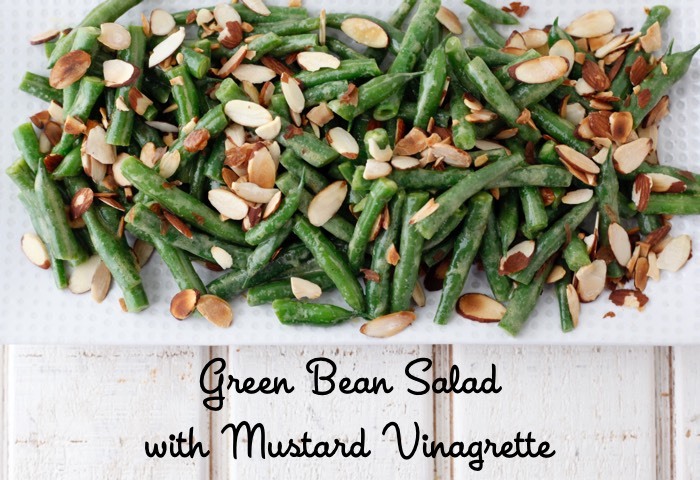 The mustard gives the salad a zippy flavor and tang that adds a real invigorating punch to balance out the sweet, crisp taste of the green beans. Our test run of this dish made me think it would be a total winner for Thanksgiving dinner this year. The best part about serving it for the holiday is that you can prepare the salad and the dressing separately and just mix them right before dinner. The recipe couldn’t be any easier and given Chloe’s reaction to it, hopefully a winner with your family too. 1. Bring a large pot of salted water to a boil. Add the green beans and cook until tender, about 6-8 minutes. Drain and rinse with cold water. 2. In a small bowl, whisk together the mustard, vinegar, olive oil, and salt. 3. 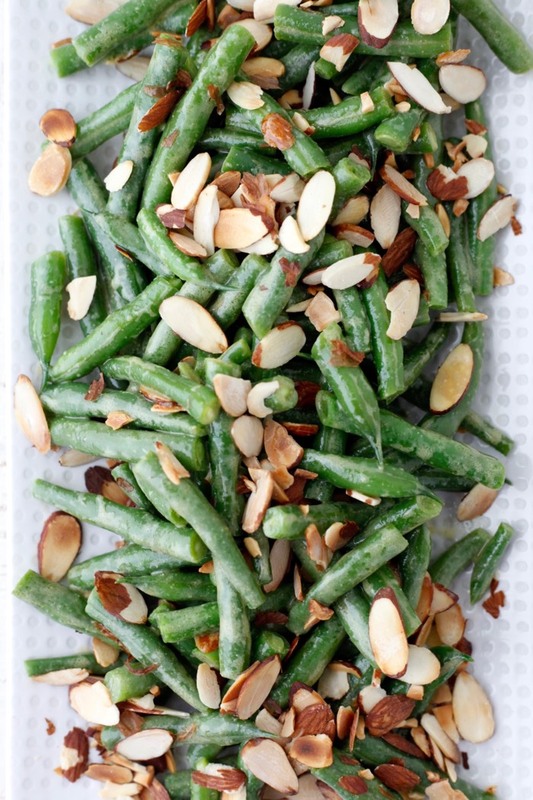 Pour the vinaigrette over the green beans and toss to combine. Top with the sliced almonds. Berry Coconut Crisps + 25% off Prescribe Balance! The ingredients do not list garlic, but the instructions do. Can you confirm if garlic should be added, what type &amp; how much? Really tough decision, garlic, no garlic? How would you prefer it? ooh, love this. I'm looking for an alternative to green bean casserole!